Pisco Sours at Panca, originally uploaded by Vidiot. 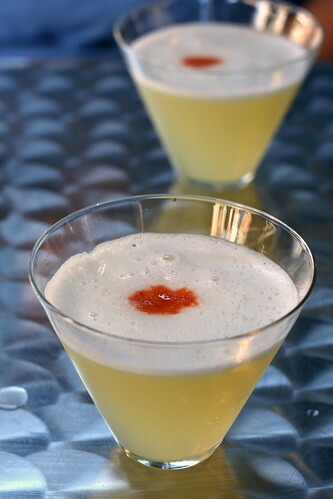 Oh, and I'd be remiss if I didn't link to Jeffrey Morganthaler's bravura take on an Angostura-scorched Pisco Sour. Looks like a helluva lot of fun, and tasty, too.